Former AOL ad sales head Jeff Levick, ousted in July from the service provider turned content company, has been picked up by Spotify. 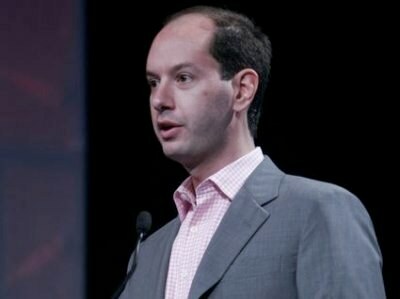 As a result of [an internal staff shuffle], Jeff Levick will be leaving AOL after a six week transition period. Jeff undertook one of the toughest jobs in the Internet space when he joined AOL. In the past two years, he developed a world-class leadership team, led the industry toward the future of premium formats for brand advertising, and helped lead a game-changing shift in perception and quality of the AOL advertising experience. The news of Levick’s new gig came to the tech blogosphere from his LinkedIn profile, and PaidContent reports that the change has since been confirmed. As of now, the company’s US staff is at 35 as the company grows rapidly, and the source says Levick will lead hiring at the company as the team in the States is expanded. The amount of planned expansion is not known at current, but if Spotify growth- which has swelled to 10 million users, 1.6 of whom are paid subscribers- continues apace in the US, it should be significant.